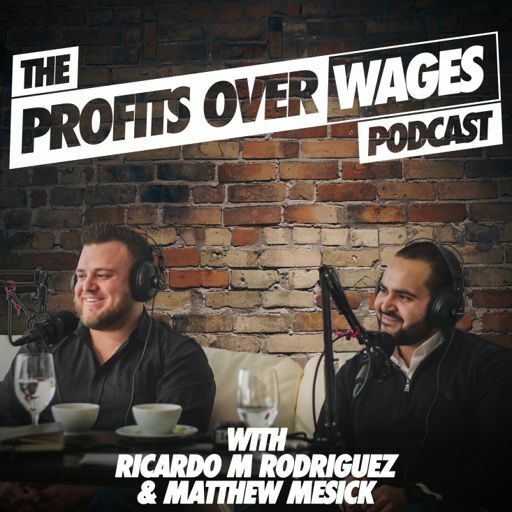 On Episode #24 of the Profits Over Wages Podcast, we sit down with Nick Libert Broker and Owner of Exit Strategy Realty. Nick opened Exit Strategy Realty in 2009 and grew it to the #1 office in the country in sales volume and units sold for 2017 out of more than 600 locations. It has also made Inc. Magazine's list of 5000 Fastest Growing Privately Held Companies year after year. Nick’s two decades of industry experience has made him a sought-after sales coach, speaking in front of thousands of real estate agents & appearing on nearly every major TV network including multiple stints on HGTV staple House Hunters. Nick's personal real estate sales success lands him on the Chicago Association of Realtors Top Producer award list year after year, and for the past 6 years in a row, he has been named a Five Star Real Estate Agent by Chicago Agent Magazine. Nick started a 2nd company, Nick Libert Development, focused on revitalizing urban properties & beautifying neighborhoods. Based in part on these ventures, CS Magazine recently named him to their "Real Estate Visionaries" list for the 3rd year in a row. Nick also serves on the Illinois Realtors Board of Directors. On this episode we talk about, goal setting and strategies on how to reach your goals, being a student of other successful people, and Nick talks about how he was able to take over Exit Realty during the dark days post market crash to the #1 Exit Realty office in the country.